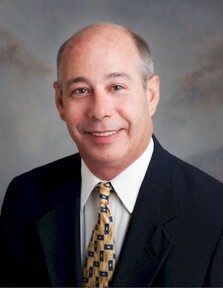 Rusty Williard received his law degree from Mississippi College School of Law in 1984 and passed the state bar the following year. Take a moment to learn more about Rusty Williard’s educational background and experience and find out what else he has to offer in helping you with your legal matter. After passing the bar in 1985, Rusty Williard soon established the Law Offices of Rusty Williard in Brandon, Mississippi. A ruthless defender of the rights of children in chancery court and with juvenile defense matters, he is currently a certified Guardian Ad Litem as well as a Youth Court advocate. Rusty believes that his personal experience as a step-father has helped provide him with valuable insight about the financial and emotional dynamics of the modern blended families of today. Besides belonging to the Mississippi Association for Justice, Rusty is a member of the Rankin County Chamber of Commerce, Hinds County Bar Association and Rankin county Bar Association. He is licensed to practice in the State of Mississippi, Federal Courts, Bankruptcy Court, and the United States Supreme Court. Millsaps College, Jackson, Mississippi, 1978 – B.A. Mississippi College School of Law, Clinton, Mississippi, 1984 – J.D. Call the Law Offices of Rusty Williard at (601) 824-9797 to speak with an attorney today.